I am currently on Holiday in Turkey until the 4th June. This is a scheduled post, Although I will be blogging while I am away, I won't be reading and replying to things until I return to the UK! Hope the weather is not too bad! 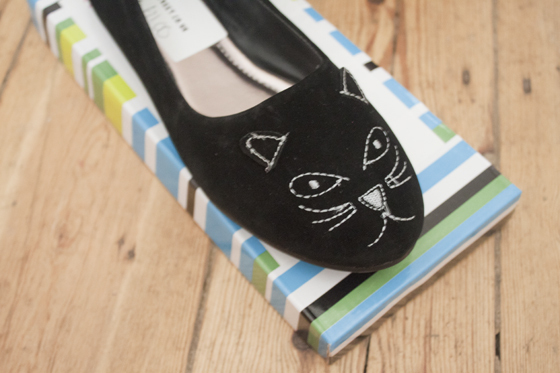 Daisy Street recently sent me a pair of their incredibly cute Kitty flats. Inspired by the Charlotte Olympia Kitty Flats which retail for a whopping £485, The Daisy Street version are very similar for a much more purse friendly price of £21. I've had my eye on a pair like this for a while now and even included them in a wish list so was happy when I spotted these on their website when they offered me a pair of shoes to review. I'm very happy with the shoes, they give me "the look" without breaking the bank. 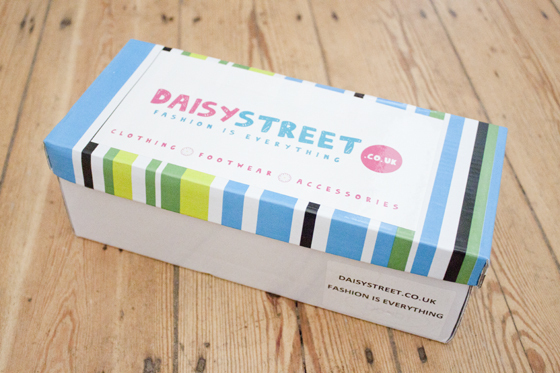 Daisy Street Shoes sell a variety of designer inspired and high street style shoes at very reasonable prices. Including fairly good dupes of my beloved Topshop Allegeras and lots of Lita style shoes for those who can brave the height of them! Oh my goodness, those flats are so adorable! perfect shoes, want these so bad! love for cats! They are so cute! 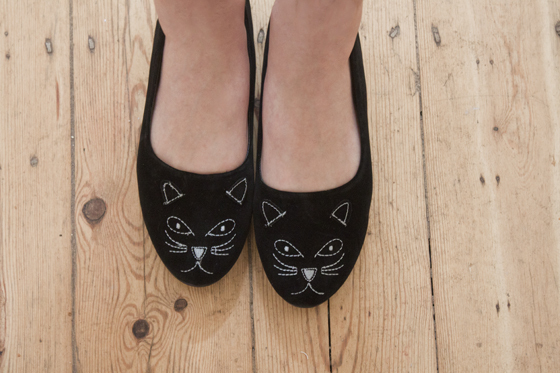 I love the Charlotte Olympia ones too... if only I had the disposable income! Thats such a bargain! saving over £400! These are the cutest shoes ever! I have the Allegra dupes - adore them! The customer service is so brilliant too. These are so incredibly sweet! Those are darling! I have the Marc Jacobs Mouse flats (got them used, love em!) so I love any shoesies with animals on them! 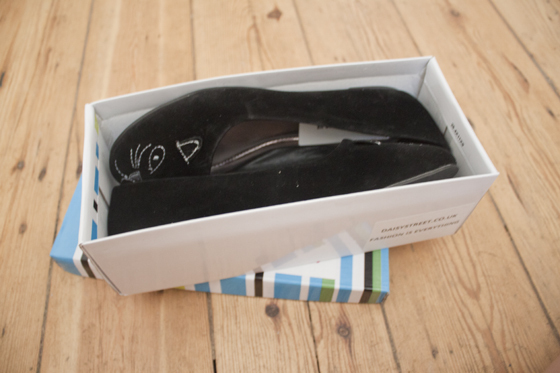 I did a blog post on my MJ flats not long ago, take a look! I was going to buy these a couple of weeks ago but put them off, there just such the cutest little pumps though! I'll have to grab them for sixth form in September.. Hope you're having a lovely holiday! I am in love with these shoes, defiantly going to be picking some up! This slippers are totally cool! The weather is very, very, very bad, but glad you're having a good time! Cute shoes. Oh my good god, these are such a good find, have to get them! Oh these shoes are absolutely beautiful! aww they are so cute, they remind me of slippers a little though! These are very cute indeedy! Theyre so cute and a reasonable price aswell! Lovely What a cute flats!